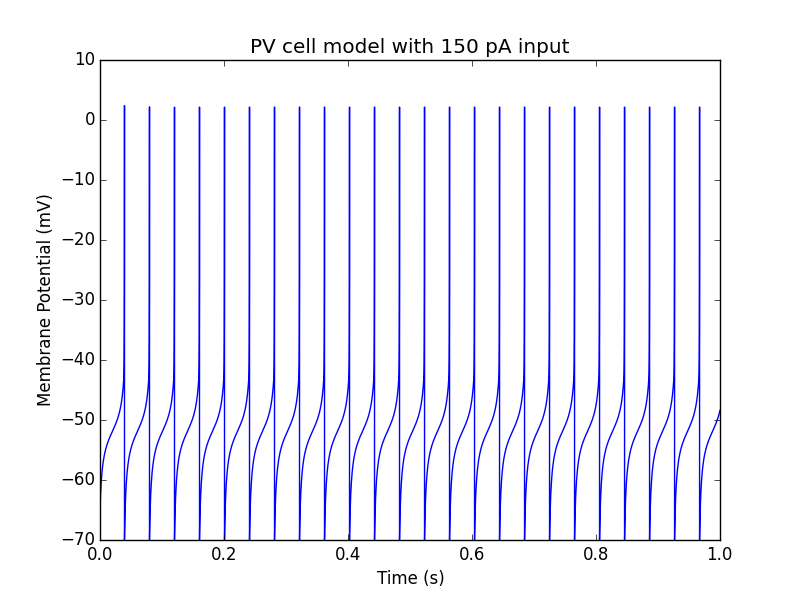 This two-variable simple model is derived based on patch-clamp recordings from the CA1 region of a whole hippocampus preparation of PV+ fast-firing cells. 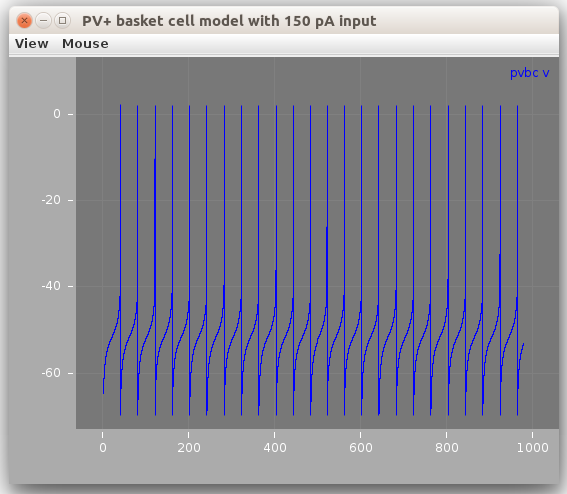 Since basket cells, axo-axonic cells and bistratified cells can be PV+ and fast-firing, this model could be representative of these cell types. More details on Brian version of this model here. More details on the NeuroML2/LEMS version of this model here.